to the environment and all living things! Did you know it takes a lot of water to make our food? *Water is used to grow plants. *Water is consumed by animals raised for food; water is also used to grow food these animals eat. 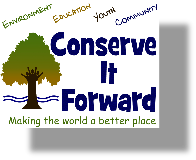 *Water can be polluted by agricultural runoff. Did you know that food is one of the biggest producers of greenhouse gases (GHGs)? *Animals release methane, one of the most harmful GHGs to the environment. *Transportation: where does your food come from? Foods sourced closer to home require less resources. The first versions of the EAT bookmark have arrived from the printer! Please email us if you would like us to mail you bookmarks for your class or group! Did you know that by making simple changes in which foods we choose to eat, we can all help reduce water usage, Greenhouse Gases (GHGs), habitat destruction, and so much more? 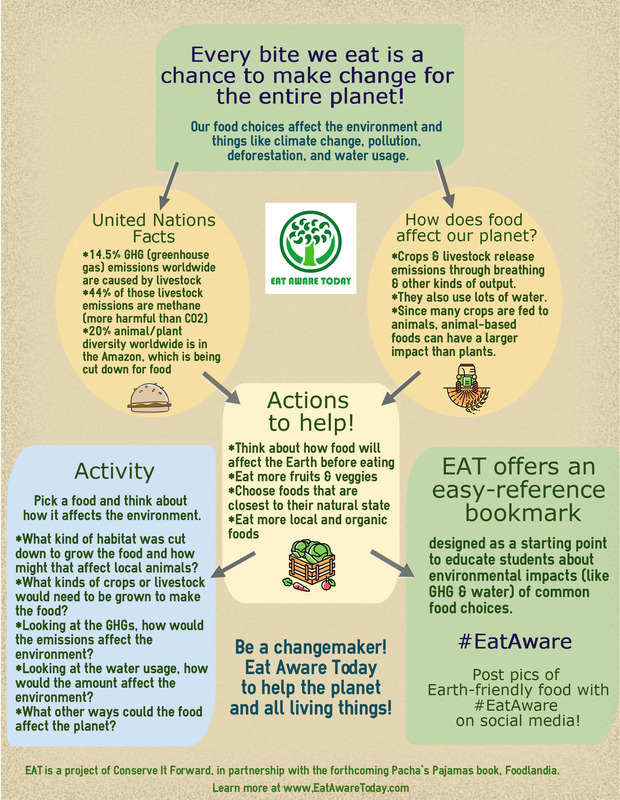 EAT will be available as a bookmark, which can be folded into a pocket-sized guide. With an easy to understand, straight forward approach, EAT: Eat Aware Today includes color codes common foods within basic food groups to reflect how the foods we choose to eat matter.